Work for Forcepoint Web Security? Learning about Forcepoint Web Security? "Wrong direction for a DLP"
I do not care for the Forcepoint product for many reasons, but I do appreciate the list of extensive categories. Forcepoint is a security application that uses an agent installation and a cloud proxy server to monitor, and prevent unauthorized access to web categories. The website is slow, and clunky. The design is not user friendly for help desk staff, and there ARE NO LISTS OF WHAT WEBSITES ARE BEING AFFECTED BY WHAT CATEGORIES whatsoever. This makes troubleshooting very difficult when attempting to locate why a domain is being blocked. We had to create an extensive whitelist to make the product work, as unblocking a category would allow domains we DID not want access to, although a legitimate domain may be included in a blocked category. The Forcepoint agent has to be deployed to all systems that need to be monitored or restricted, when uninstalling, additional steps need to be followed in order to allow access back to the internet. You will need to deploy a certificate with your certificates GPO to allow HTTPS access. To me, the product feels very amateur, and one does not simply bust through the phone tree for support. I would recommend finding similar products that have a very mature feel for working in the modern day IT organization. We implemented Forcepoint as a means to stop accidental browsing to compromised websites, and to limit possible illegal behavior. We recently removed Forcepoint from our environment due to the excessive workload it caused to manage the product, and the diminished return of results. The Sandbox is a very useful solution for sand-boxing malware / phishing etc. from corporate email accounts. No matter whether it's on Office 365, Exchange (on-premise), or Google (or any other cloud). The Sandbox updates on a regular basis, and the flexibility of policy configuration, white-listing is pretty good. Reports in the sand-boxing, ease of deployment of sensors to ready to go server with one click of a button. I think there is room to improve the reporting area of the solution and also the investigation part, a basic section where you see the body and headers of each email and the reason it got blocked. What Secure Web Gateway solution do you use? The fact that it's really easy to determine what policies a person or system has on it so we can make sure that they are able to access the sites and apps they need. The fact that it can take a little while for it to sync up with Active Directory so the system isn't always showing stats in real time. Give it a little time to get acclimated to the system and all of the different features and options available to it because once you do, you will see that it is definitely a huge benefit to have. We are solving the issue of making sure that our employees and users are only going to sites and things that are approved, and that our security holes are being plugged up to avoid any kind of bugs or viruses. This software easily breaks down web browsing to see who has been accessing what, and whether they should have been or not. It's also good because you can set it so that users have to acknowledge they're visiting some sites that may not be work related to everyone, stating that either it is work related or outside of working hours. The software could offer more information when it comes to why things have been blocked if you haven't specifically blocked them as sometimes it can make it a little difficult to resolve an issue. Shop around. It's a very expensive product so there may be something else out there at this time. This provides all of our web filtering needs, stopping people from being able to access things they shouldn't during work time, and things they shouldn't at all. "Implementation shoud be bit easier "
As far as forcepoint is concerned, i always had a overall god experience. When it comes to the best of it then the classification of url is the best part of it that i like most about it. It is quite easy to set up any type of thing within it. The deployment need two or more servers or appliances. Another bad thing about it is the Wait for a website to be added to a policy (set in cloud) to then reach the end user (15-20 Minutes). The best Web security and easy to use. Easy to implement and manage. The Policies are well laid out and easy to understand. Far greater than most solutions out there. The support has been terrific in making sure that everything is working as it should. I like the ability to customize the block pages for each type of block. There is not much to dislike. The reports are getting improved. This product is well priced and allows for reports that the managers love. There are several deployment methods that are sure to fit any company's ideology for deployment. They should definitely be given a solid look. We were able to secure our web traffic using Forcepoint. This product made it easy and quick to get my entire company protected. It has also allowed us to handle productivity reports and give some flexibility back to the managers of each department. The speed of the solution is fantastic. We have been able to realize the true speed of our network connection. 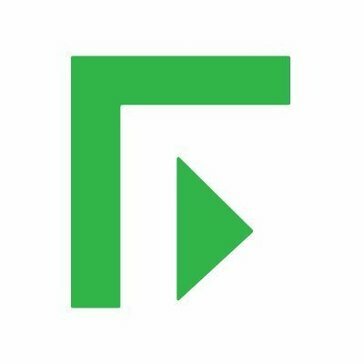 "Forcepoint is a Complete Solution for Web Security"
I like the fact that Forcepoint is a good solution but is also becoming more people focused and they listen to what we have to say about the product and what our business needs are. They listen and then do what they can to implement these suggestions. Right now I don't like the multiple endpoint solutions that have to be installed on systems for off network safety. This is if you are using more than just Web Security, like DLP, which comes with its own endpoint. But, I hear they are working towards integration. Really look at their offerings. Ask technical questions and let them get their technical back end involved to answer them. Scope your project and know what you need before beginning. It is a complex solution but proper planning will minimize this. This Web Security solution solves a variety of the standard Web Filtering solutions with the added features that Forcepoint provides. We have ability to customize our blocking and determine if additional URLs are needed along with the integration of a cloud based hybrid endpoint that allows for off network users to be filtered as if on network. It's a complete solution so the benefits are long, but security in any web interfacing is primary. "Solid Web Security Solution with Amazing Reporting"
The Web Security suite just works. We've encountered very little downtime and the support has been fantastic. documentation can be overwhelming. Its well done, but too much of it means you search to find answers to simple questions. Make sure you have all your needs laid out. There are cheaper solutions out there but they do less. if you need a best in breed solution this is it. Mis-use of company time and the need to block malicious links on the fly. It has reduced our helpdesk calls about malicious links. "Force Point Takes teh manual part out." There is less to research with the Force Point community already submitting block requests for site they have found hazardous. The preset Categories make it easy to create policies to block and allow through. The upgrade process has not been quick and easy. Plan on training with installation and use Professional Services. it is well worth the extra cost to have the experience to get this configured correctly. Creating a block for all PCI type information and only allowing Servers configured to do PCI transactions. "SImple, but powerful solution for URL filtering"
Overall a good product, perhaps could use some basic bug fixes. Works in both cloud and on prem solutions. Improve security posture by filtering URLs and getting good reporting. This has improved security and protection. This application was a great way for me to be aware of the security of many applications. You need to be skilled and taught prior how to use this application. I have benefited from the advanced technology apart of it. "Great product to enhance security"
Creating exceptions is fairly straight forward. Using the reports to troubleshoot commonly reveals the cause of issues. SSL.decryption causes a lot of issues with random sites. Support said it was a known issue years ago that was being looked into but it's never improved. Integration with Office 365 is poor. Web filtering, ssl decryption and inspection, internet restriction for unauthorized software. It is an excellent product. All of its functionalities are amazing. Support team is excellent too. End point is light weight. Version update is complicated. Support team is good, they help us. But still, everytime when we need to update the version, we face issues. It improves agility of business processes. It also helps in making risk management and compliance better. "Not the cheapest, but worth it!" The ease of use. the reporting. The agent, so policies follow a computer no matter where it goes. Upgrades are not always easy to perform and fail. Make sure you back it up. Compliance, but Forcepoint goes beyond the checkbox and help solves multiple problems. They continue to quickly expand watch there product is going by focusing on the Human Point. "A solution for some, but not all"
We did like the easy installation and quick set up time. This did not detect all threats. It failed in some aspects. We were test driving this web security solutions looking for something to implement with our agents. * We monitor all Forcepoint Web Security reviews to prevent fraudulent reviews and keep review quality high. We do not post reviews by company employees or direct competitors. Validated reviews require the user to submit a screenshot of the product containing their user ID, in order to verify a user is an actual user of the product. Hi there! Are you looking to implement a solution like Forcepoint Web Security?